The rumours have been confirmed to be true! As one of the biggest, most catchy, popular Pop/Rock bands of all time hit the road for Summer 2017! 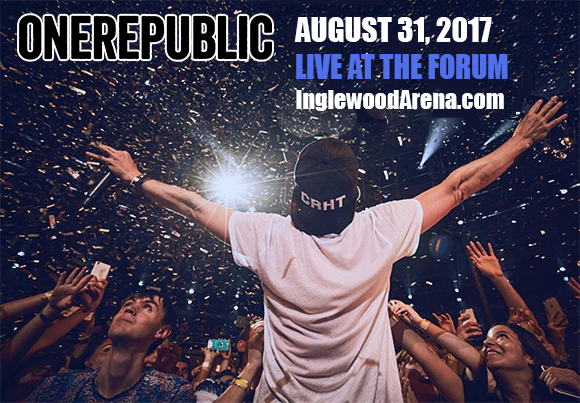 That's right OneRepublic will be here along with special support slots from James Arthur as they take to the stage at The Forum on Thursday 31st August 2017! OneRepublic will no doubt have the crowd in ore and singing along to their classic anthems. So what are you waiting for? Join in this exciting and unmissable night… it's going to be full of energy and beautiful moments! Tickets on sale NOW! This Colorado group began in humble beginnings with doing what most artists were doing and showcased their music online via Myspace, the social media hub at the time. But it wasn't long until every record label across the country wanted to get their hands on their explosive sound! Now, we are lucky enough to be able to witness it, with other adoring fans. 2017 brings another unforgettable year for this powerful act, if you're a fan of their music then be sure to follow them by booking yourself tickets to a show near you as they hit up venues this coming Summer!